Electricity. We take it for granted until the power goes out. But Governor Ige and others have a bigger vision: They say living in an island community means Hawai‘i can be a leader in renewable energy for the state, the nation and the world — with all of us benefiting from this new technology in our daily lives. He cites the $5 billion the state has been spending yearly on imported fossil fuel — funds that could help our community through clean energy’s “triple bottom line” of more local jobs, lower consumer costs and environmental benefits. He’s also aware of the skeptics and the technological hurdles that need to be overcome to reach the state’s clean energy goals. But he and others are quick to point out the advances being made right here in Hawai‘i that are paving the way to the future. Mark Glick heads the Hawaii State Energy Office (HSEO), charged with driving the state’s clean energy agenda through policies, programs and public-private partnerships. His office, under the state Department of Business, Economic Development and Tourism, coordinates efforts on everything from clean transportation and encouraging use of electric cars to recognizing “green” businesses and connecting consumers, developers and investors with resources for clean energy projects and improvements. New test-bed ventures are under way on nearly every island as well as commercial, utility-scale operations such as solar and windfarms, biomass and hydroelectric plants and geothermal. 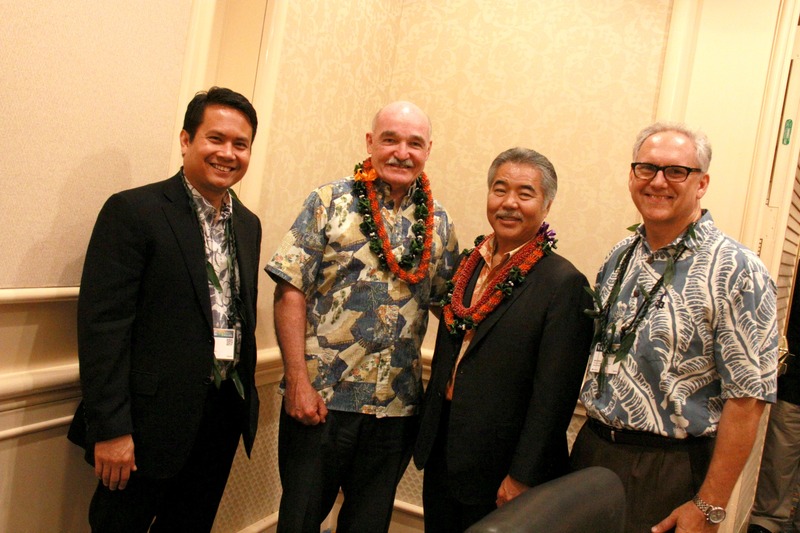 Also, HECO has announced plans to roll out “smart grid” technology on O‘ahu, Hawai‘i Island, and in Maui county to help customers control their electric bills while the Kaua‘i Island Utility Cooperative plans to use similar smart metering for energy efficiency.